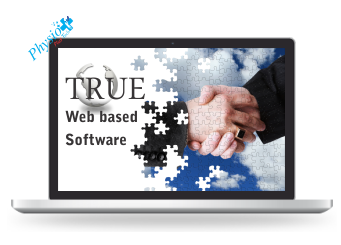 True “web-based” software means software that requires only a web browser and an Internet connection. No other “downloaded” software is needed. If you manage your banking online, or use Yahoo! Mail, Facebook, Google Search or other browser-based applications for business, then you already realize the power and ease of using web-based software. With web-based physical therapy software, there are no servers to buy, no CDs to install and no upgrades to manage. Even secure backups are handled automatically. With your secure username and password login, Physio Plus Tech just works. There is no IT hardware or staff to manage, so you can focus on managing your patients and building your practice. No need to pay extra to get unlimited Physio Plus Tech technical support. Our live support team is in-house, very knowledgeable and can help anyone in your clinic who has questions. 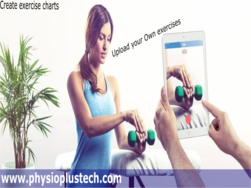 Physio Plus Tech ensures your software is always up to date with the latest features. We won’t even make you sign a long-term contract. Our goal is to ensure that you are a happy customer forever. Physio Plus Tech is a true “software as a service” (SaaS) application that has been efficiently designed to grow as your practice uses it. Store unlimited patient records, documents and notes. Web-based systems are designed to make the greatest use of Internet technology. Beware of Windows software that has been “web-enabled” and isn’t ready for the connected, mobile future.